The beautiful terrazzo mosaic of the Pacific Northwest was one of the two major works of art included in the new terminal, and dedicated today. The artist is Elizabeth Wolf. 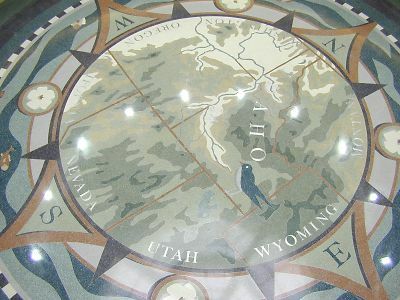 I like the idea of a geographic theme, and directions on the floor, although most of the travelers will probably be looking for "ground transportation" signs.